Over the past few years, I’ve been contacted several times by curious students working on interview projects for school assignments. 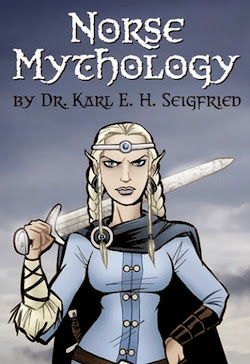 In 2011, I answered a set of questions about Norse mythology and religion from a high school student. In 2012, I posted answers to questions from a middle school student. In 2013, I was interviewed by a sixth grader working on a Norse myth project. In 2014, I’m now answering a group of questions from another sixth grader who is researching Norse myth and religion. 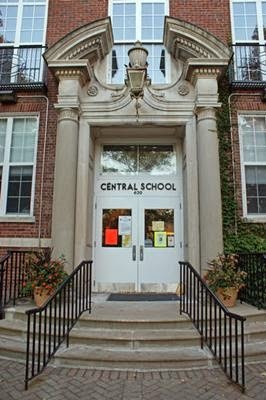 Cole B. is in Ms. Kathleen Brauer’s class at Central School in Glencoe, Illinois. “He is such a fan of Norse mythology,” writes Ms. Brauer, “that he is thoroughly enjoying each day of research.” That’s what I like to hear! Cole has some very interesting questions. Actually, he has so many questions that I had to pick which ones to answer – or the post would have gone on forever! Since nine is a number that has special meaning in Norse mythology and religion (nine worlds, nine nights, nine years, nine mothers, nine daughters, etc. ), I picked nine of Cole’s deepest questions to answer. His first three questions and my answers are below. I’ll answer the next three questions in next week’s post. 1. How was the world created in the Norse myths? Just as from Niflheim there arose coldness and all things grim, so what was facing close to Muspell was hot and bright, but Ginngungagap was as mild as a windless sky. And when the rime [frost] and the blowing of the warmth met so that it thawed and dripped, there was a quickening from these flowing drops due to the power of the source of the heat, and it became the form of a man, and he was given the name Ymir. But the frost-giants call him Aurgelmir, and from him are descended the generations of frost-giants. 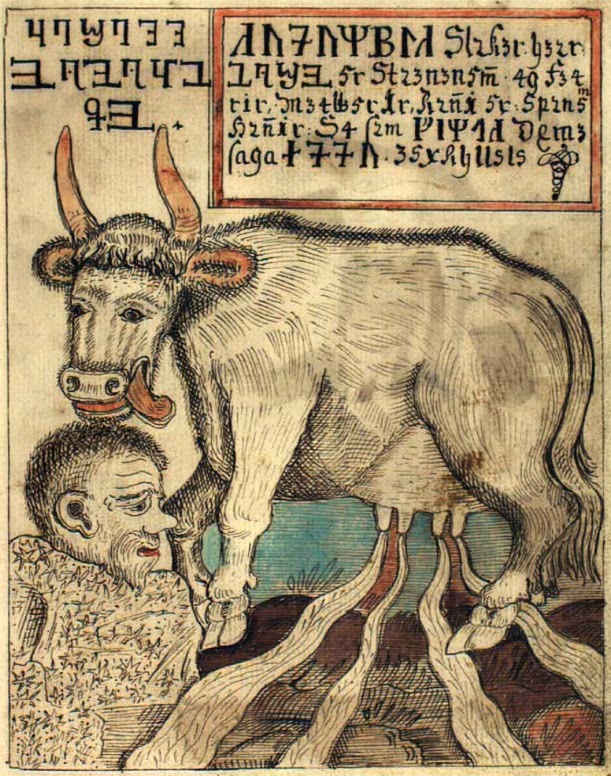 Later, a cow was formed in the frost and the giant Ymir fed on her milk. Eventually, a male and female giant grew from his sweaty left armpit as he slept, and his left leg had a son with his right leg. This is how the myths explain where the frost-giants come from. Seems legit. Meanwhile, the cow was hungry, and licked the salty frost. Her licking eventually uncovered Búri (“father”), the ancestor of the gods. He had a son named Burr (“son”) who married a giantess and had three sons of his own: Odin (“fury”), Vili (“will”) and Vé (“shrine”). These young gods kill the giant Ymir. Things were rough in the old days. and from his skull the sky. The moon was born from his mind; from his eye the sun was born. Indra and Agni came from his mouth, and from his vital breath the Wind was born. From his navel the middle realm of space arose; from his head the sky evolved. From his two feet came the earth, and the quarters of the sky from his ear. Thus they set the worlds in order. I think you’ll immediately see the similarities in these texts from Iceland and India, from nearly 2,500 hundred years apart. Why they are similar is another thing entirely, and involves theories of the migrating people known as Indo-Europeans. We’ll leave that for another time! The take-home message is that this idea of the world being made from a giant killed by the gods at the beginning of time is quite an ancient one. The same summer a great battle was fought between the Hermunduri and the Chatti, both forcibly claiming a river which produced salt in plenty and bounded their territories. They had not only a passion for settling every question by arms, but also a deep-rooted superstition that such localities are specially near to heaven, and that mortal prayers are nowhere more attentively heard by the gods. It is, they think, through the bounty of divine power, that in that river and in those forests salt is produced, not, as in other countries, by the drying up of an overflow of the sea, but by the combination of two opposite elements, fire and water, when the latter had been poured over a burning pile of wood. Very interesting! For these tribes, what made this location special and spiritually important was a joining of “two opposite elements” to form salt. Remember the meeting of ice and fire in the void – and the grandfather of the gods being licked from the salt? It’s notable that this location was considered to be “near to heaven” and a place where the gods could more easily be contacted. Was it because these tribes connected this area with the beginning of the world? 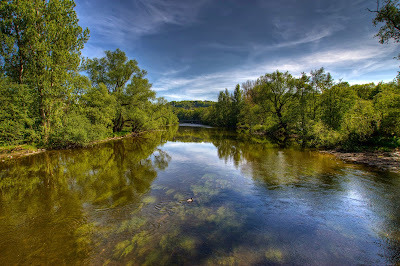 It may also be important that the river “bounded their territories,” perhaps indicating a mystical boundary line like that of Ginnungagap between the lands of ice and fire. You’ll notice that I’m asking questions and using words like perhaps. When we study mythology and religion, there are usually no simple answers. We have to examine not only all the bits of myth that survive, but also stories from related cultures, history, archeology and many other fields. Being a mythologist is a lot like being a scientist. We have to look at all the evidence we can find, then design theories that try to explain them. As is the case in science, these theories are tested, retested and improved over the generations. I’m very happy that you’ve decided to investigate this wonderful field of study! 2. Which gods were the most important? Different gods were considered most important at different times and in different places. In ancient times, what we can call now call Norse religion was never a standardized system like Christianity. Of course, there are now many different forms of Christianity, but they all basically agree that God and Jesus are at the center of the belief structure. The various historical forms of the Norse religion didn’t have this sort of universal agreement on which gods and goddesses were the most important. In some historical accounts that have survived, gods and goddesses are mentioned that we can’t line up at all with any of the characters from Norse mythology. It’s important to remember that the gods and goddesses we’re most familiar with are the ones whose stories survive in myths preserved by Icelanders. We owe our Icelandic friends a great debt of gratitude for preserving these tales, but we must also remember that these are the Icelandic versions of the stories, gods and goddesses. They are not necessarily the same as they would have been if preserved in England, Germany, Sweden or elsewhere in the northern world. That folk has a very famous temple called Uppsala, situated not far from the city of Sigtuna and Bjorko. In this temple, entirely decked out in gold, the people worship the statues of three gods in such wise that the mightiest of them, Thor, occupies a throne in the middle of the chamber; Wotan and Frikko have places on either side. So, at this time and in this place, Thor was the most important god; Odin (Wotan) and Frey (Frikko) are literally off to the side. 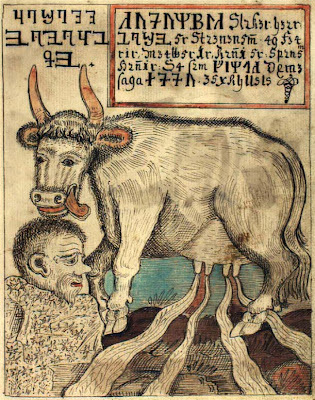 The Icelandic myths in the Eddas clearly make Thor subordinate to Odin, who is presented as his father. In this description of religious practice in Sweden, however, Thor is literally the center of attention. 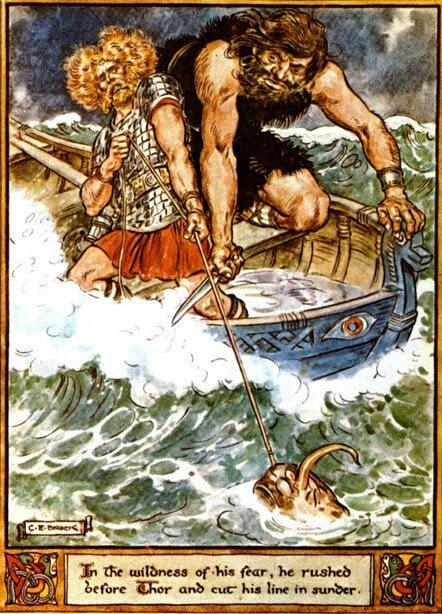 He was also of central importance to the early settlers of Iceland, some of whom threw carved figures of Thor into the water and built their homes wherever the statues drifted ashore; they let the god choose their land for them. Why is Odin a minor figure in the Swedish temple but the major god in this Icelandic literature? The fact that the Icelandic sources were written down by Christians over two hundred years after the country’s official conversion to Christianity is an issue that must be addressed. The Norse myths were not written down by people for whom they were religious stories; they were written down by people who followed the New Way of Christ that had driven out and replaced the Old Way of Thor, Odin and the other gods and goddesses. The old fellow sure looks like the Christian God, doesn't he? Did these later Christian writers amplify Odin’s standing in the mythology because they wanted to make his role as a creator god seem like something that prefigured or anticipated an understanding of the Christian God the Father? Or does Odin loom large in Icelandic poetry because he was the god who inspired poets with his magical mead – because the poets who worshiped Odin were the ones whose poems were the basis for Snorri’s collection of myths? In other words, does the portrayal of Odin in the Icelandic texts reflect newer Christian ideas of godhood or older heathen ideas? How much can we trust that these written sources are really portraying the Norse gods as their believers saw them? You’ll find that many scholars over the decades have argued these questions about Odin – and many other questions, besides. It’s through this sort of questioning and arguing that we grow and improve scholarship and knowledge. He is ruler of rain and sunshine and thus of the produce of the earth, and it is good to pray to him for prosperity and peace. He also rules over the wealth of men. This makes it sound like he’s purely a fertility god, but we’ll see later on how he is also connected with battle through his association with the boar. We’ll also read a description of Thor’s powers that seems awfully similar to this description of those of Frey. The roles of the gods aren’t as clear-cut as you might think. Frey is much more than “god of fertility” and Thor isn’t simply “god of thunder.” The domains of the gods shift and overlap, depending on which source you’re studying. 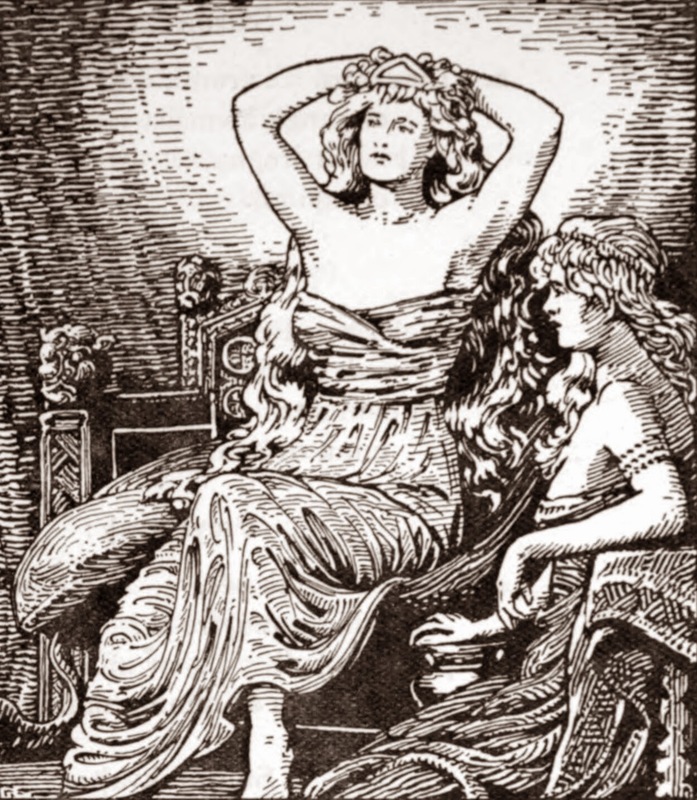 Freya is the most glorious of the Asyniur [goddesses]. She has a dwelling in heaven called Fólkvangr [“field of the people”], and wherever she rides to battle she gets half the slain, and the other half Odin… Sessrumnir [“seat-roomer”], her hall, is large and beautiful. And when she travels she drives two cats and sits in a chariot. She is the most approachable one for people to pray to… She was very fond of love songs. It is good to pray to her concerning love affairs. You’ll notice that Freya almost seems like a female version of Odin. She divides those who die in battle with him, and she appears to bring them back to her hall as he brings dead warriors to his own Valhalla. As he is a god who inspires poetry, she is a goddess who loves to hear songs. However, we need to remember that Snorri was writing after the conversion of Iceland. Just as his description of Odin seems to contain elements of God the Father, his introduction of Freya may have bits of the Virgin Mary attached to it. Snorri says that Freya “is the most approachable one for people to pray to”; some Christians believe that Mary is “approachable,” that she is sympathetic to our prayers, because she was once a living human being, herself. 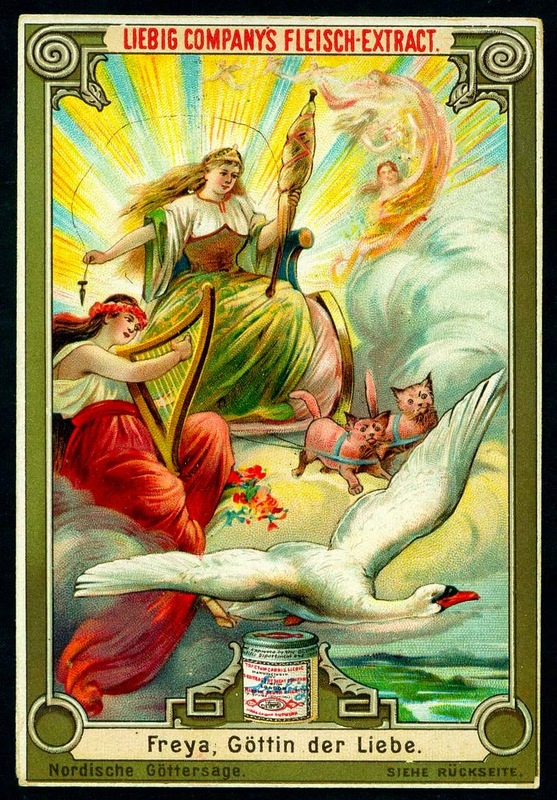 1894 German trading card for "Freya, Goddess of Love"
produced by a meat-extract company. Life is strange. 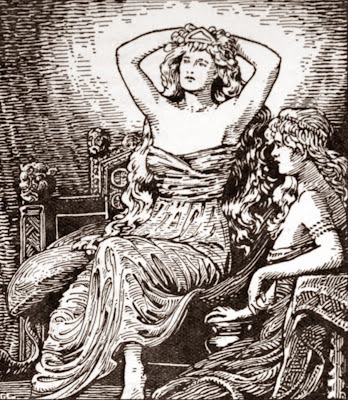 However, Freya also appears often in the heathen poetry of the 900s, so she is not merely someone that Snorri simply made up in imitation of Christian mythology. In the year 999, a poet named Skjalti Skeggjason was exiled for blasphemy after reciting a verse insulting Freya; this shows how seriously she was taken as a goddess by her heathen followers. There are many other gods and goddesses, of course, but this should give you a little taste of the characters you’ll meet as you continue to study the mythology and the religion. It should also give you a sense of the wonderfully complicated issues that surround this subject. There are no simple answers. 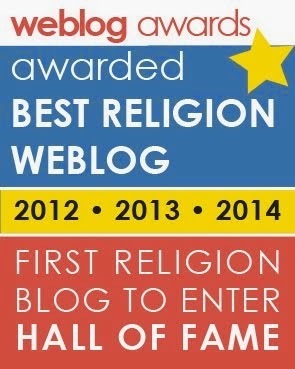 I find this endlessly exciting, and I hope that you will, too! 3. Why are there different types of giants? The giants often represent the forces of nature that exist outside of our human community. These natural forces can take many shapes, so giants come in many forms. Some of the giants are very monstrous and terrifying, and others are extremely beautiful and pleasant. We shouldn’t necessarily think of the giants as being giant in size. They come in many sizes, which makes complete sense. An avalanche in the mountains that destroys an entire town is larger than a river in the countryside that overflows and wrecks a single home, isn’t it? 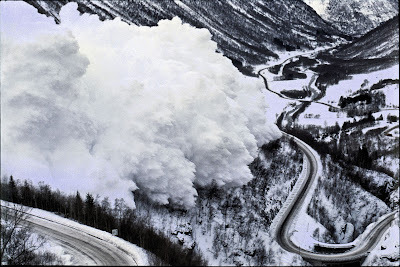 The natural forces causing the snowslide and the flood can be thought of as giants of different sizes. The English word giant is usually used as to translate the Old Norse words jötun and thurs. Jötun is a neutral term without good or bad connotation, but thurs is associated with monstrous and threatening figures. I’m sure you know the English word troll, but you may not know that troll was first an Old Norse word that referred to hostile giants. In Old English, the words eoten and ent were used for creatures who lived outside the circle of human civilization. 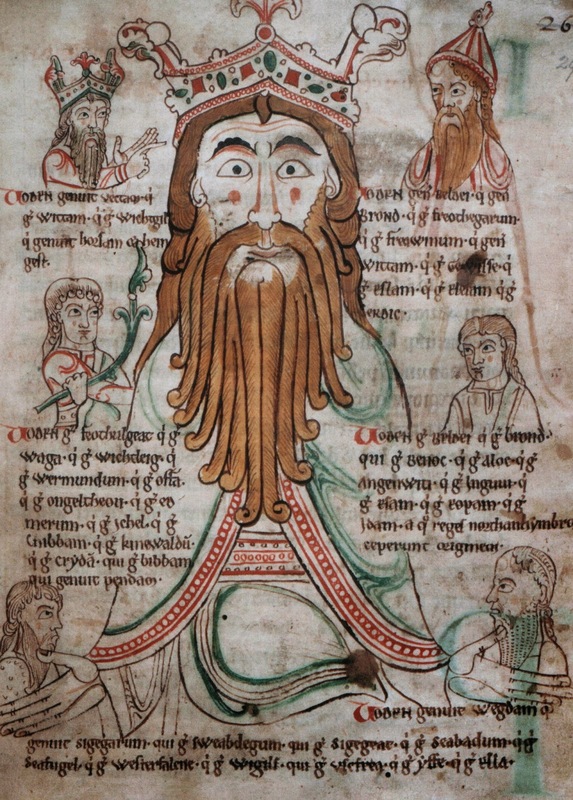 You can see (or hear) the similarity between the terms eoten and jötun, which underscores the connections between the mythology of the Anglo-Saxons and their Icelandic cousins. You may recognize the word ent, which J.R.R. Tolkien picked up from the Old English poem Beowulf and used for his walking, talking trees in The Lord of the Rings. That’s a lot of variation in just one giant family, and it shows us that the giants – like the elements of the natural world – are a pretty diverse bunch. Some of them are even wiser and more knowledgeable than the gods themselves. I’ve already introduced you to the giant Ymir, who was the first living thing in the universe. Since the giants are older than the gods, Odin sometimes travels to the halls of great giants to quiz them and see what he can learn of their ancient wisdom. They may be old and wise, but they’re still threatening. In one famous myth, Odin bets his head in a wisdom contest with a giant; the winner of the riddle contest gets to cut off the head of the loser. If this reminds you of the riddle game that Bilbo and Gollum play in The Hobbit, that’s because the Odin story was one of J.R.R. Tolkien’s sources for the scene. 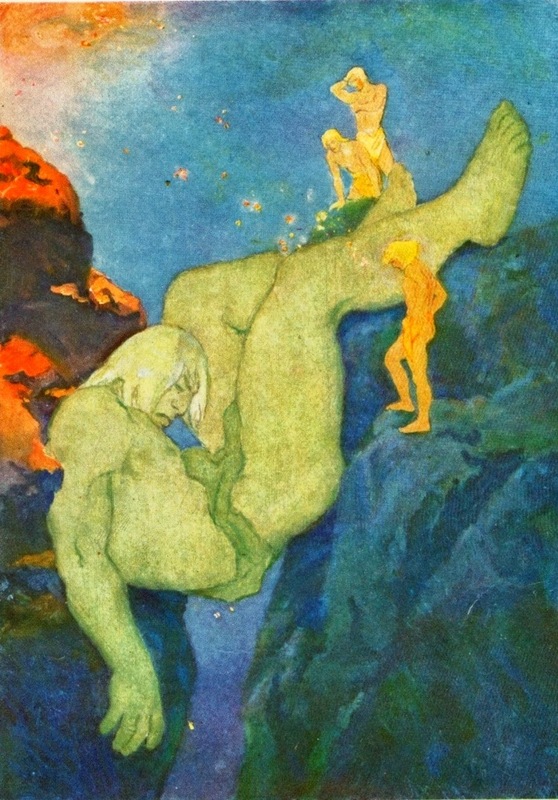 In addition to Hymir’s wife, there are other famous giant beauties in the mythology. For instance, the god Frey falls madly in love with the giantess Gerd, whose “arms shine, and from there all the sea and air catch light.” It’s hard to say exactly what Gerd represents, but she does seem associated with the beauty of the natural world. Perhaps her wedding to Frey represents the relationship between the fruitful land and the farmers who work to take care of it. As with so much in the mythology, scholars have very different opinions from each other on what this particular story means. In the end, maybe a good way to think of these beautiful giant women is like this: nature can be both beautiful and deadly. 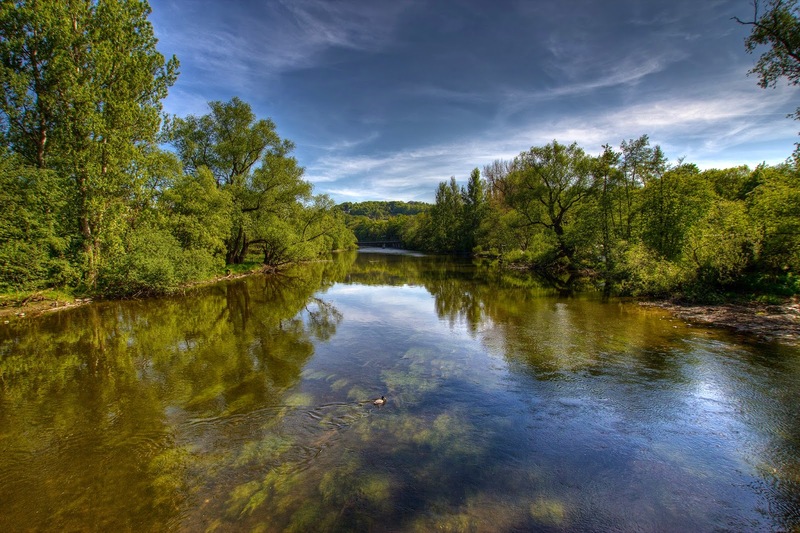 A rushing whitewater river can look breathtakingly beautiful as it reflects the golden light of the midsummer sun, but it will also crush your bones to splinters if you fall in. We love nature’s beauty, but we must also respect its power.